Coal India Ltd's Rs 15,000 crore (Rs 150 billion) mega issue, which opens on Monday for public subscription, has garnered a bullish endorsement from most of the market experts who believe it would be the star attraction of this week for all, including retail investors. "This week the main attraction for retail investors would be the primary market with the mega IPO of Coal India slated to open on Monday," Delhi-based SMC Global Securities Research head of retail Saurabh Jain said. CIL's initial public offering, priced in the range of Rs 225 to Rs 245 per share, is the biggest issue in the Corporate India's history so far. The offering opens on Monday and closes on October 21. For qualified institutional buyers, which include FIIs, insurance firms and mutual funds, the IPO will close on October 20. Analysts said the issue would be important not only for primary markets but also to secondary market participants who will be watching it closely. 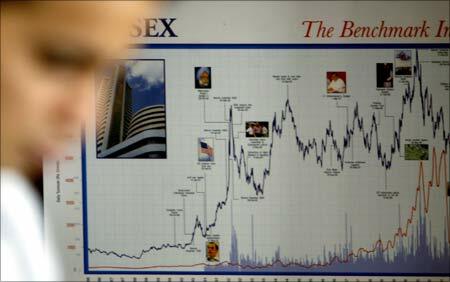 In fact, such was the momentum to stock up cash for CIL issue that in just last two trading sessions the BSE benchmark Sensex sank by a whopping over 500 points. Besides, there will be some short-term pressure in money market, as experts believe there could be a total liquidity impact of roughly about Rs 1.5 lakh crore (Rs 150,000) during this IPO. "The liquidity tightness during a large IPO occurs as a result of fact that many bids are financed through borrowing. 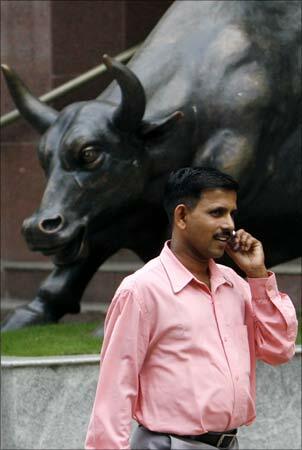 This leverage shows up as a temporary expansion in the credit during the IPO period," Axis Mutual Fund said in a note. "The larger the share offer, the larger is the impact on credit and money markets. 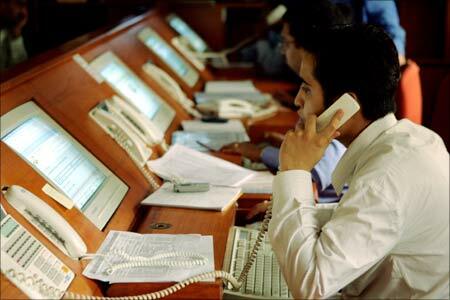 Thus large IPOs are associated with tight liquidity and rising money market rates," it said. The CIL IPO has seen a broad endorsement from almost all the big as well as small investment banking firms. The Centre, which will divest its 10 per cent stake through the offering, is also bullish on the issue that will help the government to fulfill Rs 40,000 crore (Rs 400 billion) divestment target this fiscal. "I expect Coal India IPO to do very well. There should be huge response from retail as well as institutional investors," divestment secretary Sumit Bose said last week. The world's largest coal producer is expected to commence trading on the domestic bourses by November 4 and SMC Global Securities Strategist Jagannadham Thunuguntla believe that it will make a decent debut on the bourses. Brokerage house CLSA said, "CIL deserves to trade at a premium to global coal peers given much lower volatility of earnings and large headroom to raise prices in a supply-deficit environment." CIL is one of the largest companies in the world based on the coal reserves of 64,786 million tonnes as on April 2010. "Going by the significant asset size, quality and life of the reserves and the dominance in domestic market, we believe CIL has very good prospects in long term," Elara Securities analyst Ravindra Deshpande said. According to India Infoline Ltd's head of research Amar Ambani, with a possible appreciation to $50 billion market capitalisation over time, the company will add to the quality of stock available on Indian bourses. Lower earnings' volatility, large undeveloped resource base and the potential to improve realisations warrant a premium to global peers. At the upper end of price range, Coal India public issue is valued worth Rs 15,475 crore (Rs 154.75 billion) and at the lower end it would fetch about Rs 14,211.81 crore (Rs 142.118 billion). 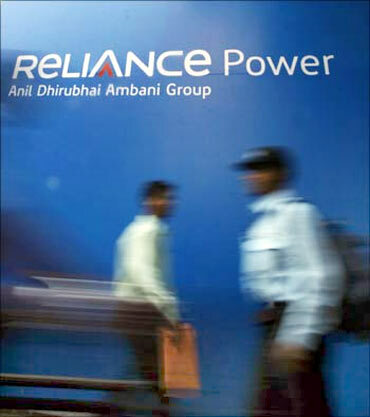 Anil Ambani Group company Reliance Power, which raised Rs 11,500 crore (Rs 115 billion) through its mega IPO in January 2008, is India's biggest public issue till date. Citigroup Global Markets India, Deutsche Equities India, DSP Merrill Lynch, Eanm Securities, Kotak Mahindra Capital and Morgan Stanley India are book running lead manager to the CIL IPO. Life insurance companies are likely to invest Rs 4,000 crore (Rs 40 billion) in the Coal India Ltd initial public offering (IPO) -- India's largest ever. "There is huge interest in this issue from a long-term investment perspective," said Vikram Kotak, chief investment officer at Birla Sun Life Insurance Company. "The IPO is one way of getting Coal India shares. If we don't get enough, we will buy shares from the secondary market," he added. 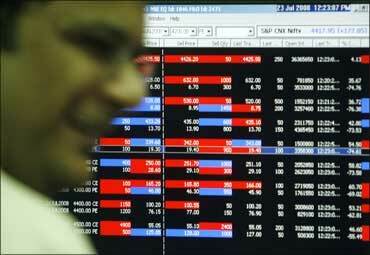 Kotak said the issue could be subscribed 15 times, given the interest shown by foreign institutional investors (FIIs). 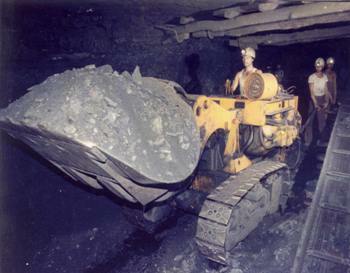 Coal India is the country's largest producer of coal. 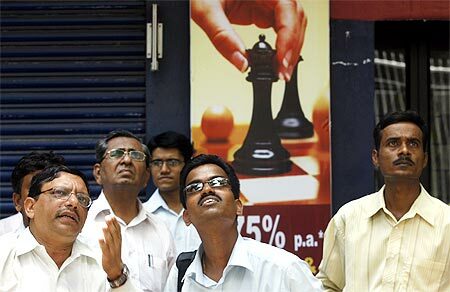 Chief investment officers of insurance companies expect the industry to invest around Rs 4,000 crore in the issue. "There should be an enthusiastic response from insurance companies," confirmed Sashi Krihnan, CIO, Bajaj Allianz Life Insurance. Of that estimated amount, state-owned Life Insurance Corporation of India alone will probably pick up shares worth around Rs 3,000 crore (Rs 30 billion), industry sources estimate. "The issue is reasonably priced and LIC would be a big applicant," said Prasun Gajri, chief investment officer at HDFC Standard Life. "Though insurance companies have been buyers on stock markets, domestic institutional investors (DIIs) were net sellers," added Gajri. A senior LIC executive said since the issue closes on October 20 for qualified institutional buyers, his firm would probably decide the amount of shares it would buy on Monday. Its appetite for Coal India shares has been whet by the fair pricing and the fact that not many such issues are available on the market, he explained. "Now, we can invest from both our Ulip (unit-linked insurance plan) and life funds. The Ulip fund will also have a medium- to long-term perspective," the executive added. The lock-in period for Ulips has been raised by the regulator from three years to five. LIC plans to invest Rs 60,000 crore (Rs 600 billion) in equities, of a total investment of Rs 2 lakh crore (Rs 2 trillion), during the current financial year. In the first six months, LIC has invested around Rs 20,000 crore (Rs 200 billion) in equities. The Coal India IPO is expected to garner around Rs 15,400 crore (Rs 154 billion). The company is offering 630 million shares with a face value of Rs 10 each. The issue closes on October 21. The government is selling 10 per cent of its current 100 per cent stake in the company. The price band for the IPO is fixed at Rs 225-245. Retail investors and Coal India employees have been offered a discount of 5 per cent. Qualified institutional buyers can subscribe to 50 per cent of the shares, retail investors 35 per cent and high net-worth individuals the remaining 15 per cent. Both DIIs and FIIs have been net sellers on the markets over the past few days. Some brokers say this is to generate cash to invest in the IPO. On Friday, FIIs were net sold shares worth Rs 113 crore (Rs 1.13 billion), while DIIs net sold Rs 1,053 crore (Rs 10.53 billion). In the run-up to the Coal India initial public offering, brokers are offering Rs 500-700 to 'rent' the demat accounts of retail investors not subscribing to the issue. The rent is for the duration of the issue, which opens on Monday and closes four days later. Sources familiar with the developments said large broking houses, some of which are subsidiaries of investment banks, have asked each sub-broker or agent to hire demat accounts in lots of 25-30. This is in addition to another scheme whereby brokers are guaranteeing a 4 per cent return to retail investors that subscribe to Rs 1-lakh (Rs 100,000-400,000) worth of shares on their behalf. There are over 80,000 sub-brokers across the country and over 10.05 million demat accounts. The scheme is somewhat similar to now infamous Gujarati investor Rupalben Panchal's cornering of a large number of shares of various IPOs in 2005 by opening multiple demat accounts. 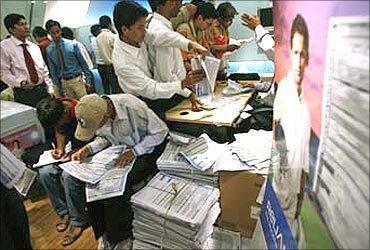 The modus operandi is as follows: Brokers give an investor whose account they hire the maximum subscription amount of Rs 1 lakh to apply for the IPO, along with the rental. When the shares are listed, the retailer will have to transfer the shares. The deal is based on trust, and is mostly being played out in small towns. 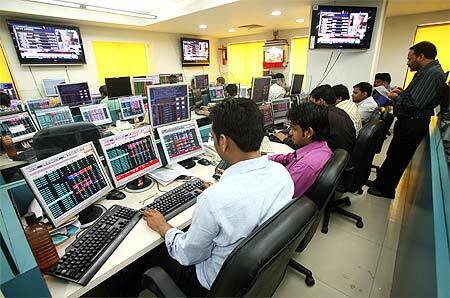 Over the past several weeks, stockbrokers have been helping investors and their family members open demat accounts. The Coal India IPO roadshows were conducted in small towns and cities long before they were held n Mumbai. A little over 190 million shares of Coal India are reserved for the retail category and roughly 1-1.5 million investors would be required to fill this quota. "Allotment of shares will be high in the retail category. In the maximum permissible subscription limit in this category, a retail investor can apply for a little over 400 shares at the upper end of the price band. Considering the large size, even if this category is subscribed two times, each investor will get at least 200 shares," said a sub-broker. Brokers said that apart from high net worth individuals, a few large institutions are also hoping to corner shares by backing brokers to promote the scheme. "There is huge interest among large foreign institutions and everybody wants a larger slice of the issue," said another Mumbai-based broker. Institutions are keen on Coal India shares, as the company will become a benchmark stock soon after listing. At the upper end of the Rs 225-245 price band, Coal India's market capitalisation would be over Rs 1.5 lakh crore (Rs 1.5 trillion). This would make it one of the top 10 listed companies in India. The stock will immediately be included in the Sensex and the Nifty -- key equity indices of the Bombay Stock Exchange and National Stock Exchange, respectively. The second quarter earning numbers by India Inc and demand garnered by state-run Coal India for its mega public float will set the direction for the stock market this week, say analysts. According to brokers, volatility in the market is expected to increase, as domestic indices are near an all-time high levels. The second quarter earning season would be important for market to take direction for the short to medium term, they said. "A lot of expectations have been built in the prices and any disappointment on this front may trigger some profit booking," said domestic brokerage house ICICI Securities. As Infosys Tech has already rung the bell with positive surprise in terms of earning growth, investors would now look forward to numbers of companies like L&T, HDFC and Bajaj Auto, among others that are scheduled to announce numbers this week. Besides, the secondary market would also keep a close eye on the demand of mega IPO of state-run Coal India Ltd's Rs 15,000 crore initial public offering. It is the biggest such offer in the history of Corporate India so far and experts believe there may be some liquidity crunch for a shorter period in the coming week due to this big ticket issue. "This week the main attraction for retail investors would be the primary market with the mega IPO of Coal India slated to open on October 18," SMC Global Securities Research head (retail) Saurabh Jain said. Equity analysts said that if major selling happens in the coming week ahead of the results, then support levels for the indices would be crucial to watch. "The stance still remains bullish for the long term, but correction in some stocks is likely to happen," brokerage firm Unicon Financial said its weekly market outlook report. While investors are booking some profit, as market is near to an all-time high level, ample liquidity in the global financial system as prolonged low interest rates in developed economies continues to support the market, brokers said. Domestic markets have been consolidating in October after a significant rally in September. 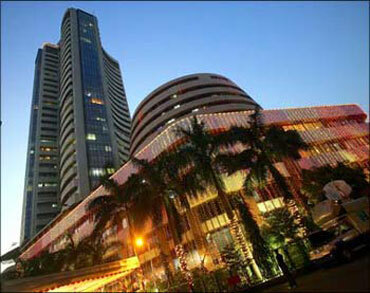 The same trend continued in the week gone by as well, with the BSE Sensex remaining flat (falling 0.6 per cent during the week) at 20,125.05. Foreign Institutional Investors were net sellers in cash markets on Friday for the first time in the month. They have infused a whopping $23 billion so far this year in the local stocks. On the global front, Wall Street ended mixed on Friday. Dow Jones Industrial Average ended 0.29 per cent lower, while S&P 500 and tech heavy Nasdaq settled in the green with a rise of 0.20 per cent and by 1.37 per cent, respectively.